It’s hard to believe that in only 1.5 weeks I could deliver a perfectly healthy and developed baby. 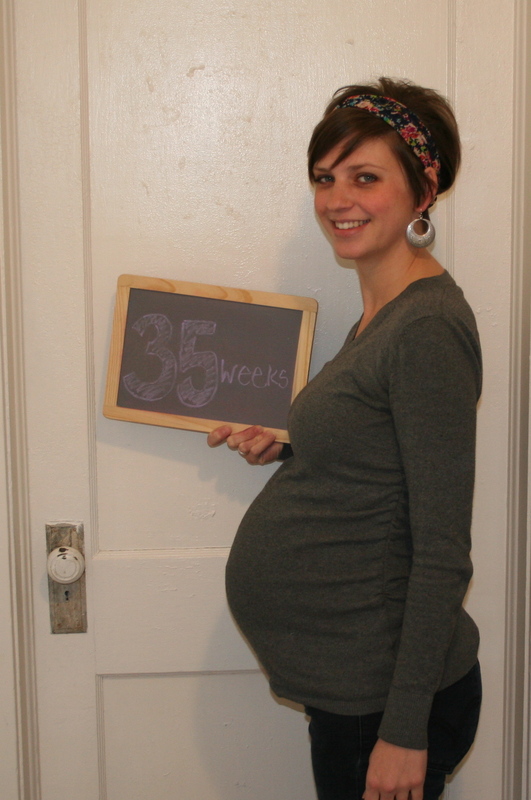 The average mama at Mountain Midwifery delivers at 41 weeks and 3 days. It would be super convenient if Grace would make an on-time arrival (which would be very unlike her father and mother). This last week we were able to take our birth recovery and infant care class. It’s our favorite class to-date. We are incredibly excited to bring Grace home and love and care for her – even if we really don’t know what we’re doing. I think some of the things we are going to choose to implement for our family won’t be understood by most and will solicit much unwanted advice. But, as my very wise father says – opinions are like assholes; everyone has one and they all stink. I will remind myself of this often in the first few months of motherhood, I’m sure. Since there’s really nothing else thrilling going on, I’m going to brag on my husband. Chris works a lot. He works weird hours. Whenever he’s not working he’s doing something for our house or for Grace. Not only is he showing acts of love through service, but he’s taken much of his extra time to go to all these baby classes – which most men would find to be agonizing and useless. Each class makes him more excited to meet Grace and more amazed by the entire progress (despite the fact that his years of Biology courses have given him more knowledge of reproduction and birth than most people). Even with everything else going on, Chris is constantly seeking to serve me. He’s always asking what he can do to help me, constantly tells me how good I’m doing and compliments me on how good I look. Watching Chris seek to serve me and serve our unborn daughter I know he’ll be a great dad.